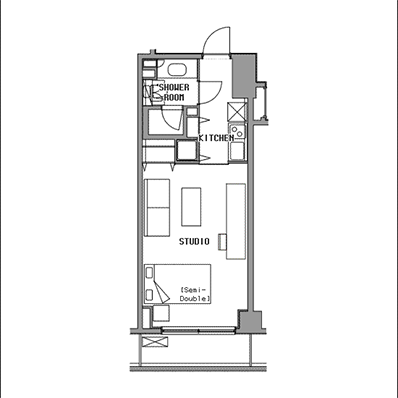 Most compact studio type. Bath tub. Only 1room available in this bldg. Most reasonable type. Shower, working desk. Face the street and bright with sunshine. 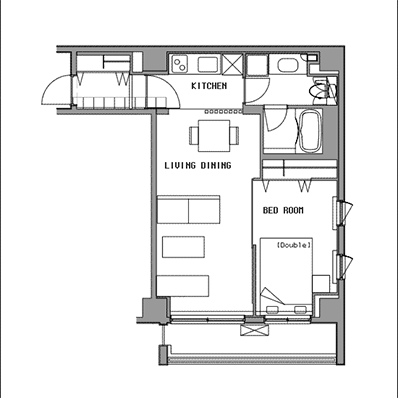 Semi-double bed, shower, dining table for 2. Only 1room available at 4th floor. Large window makes the room very bright.Face the street. Semi-double bed. Largest studio tipe at the top floor. Semi-double bed. Corner room with bright sunlight. Double bed. 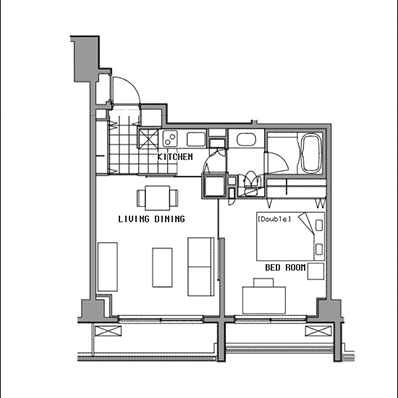 1bed room type at the top floor.Double bed. Only 1room available in this bldg. Double bed, bath, spacious living room. 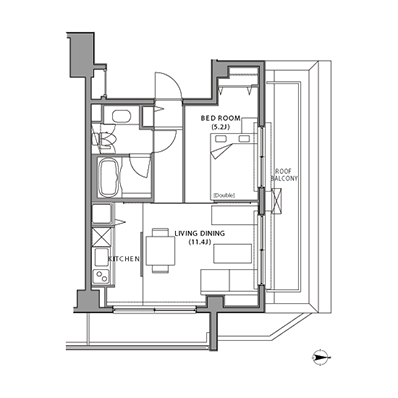 Double bed, bath, large walk-in closet. Double bed, bath. Only 1 room available at 2nd floor. Double bed, spacious living room. Only 1 room available at 2nd floor. 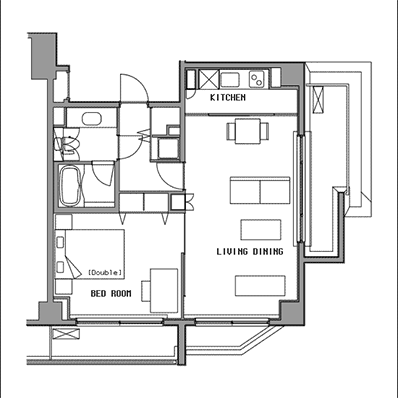 One bed room (Double bed), bath, only 1 room available at 5th floor. Largest room type in this bldg. Double bed, spacious living room, bath. Only 1 room available at 6th floor. Following services are included in your rent. Utility(electricity, gas, water), WiFi, CATV, and moving out cleaning fees.No taxes or service charges. Only outgoing telephone calls are charged separately. *There may be extra charges for excessive utility usage. 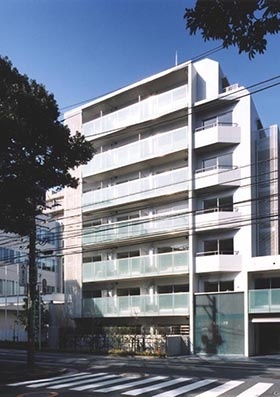 While only a few minutes walking from Shinagawa Station, a main business hub in southern Tokyo, BUREAU Takanawa is in a tranquil residential neighborhood. 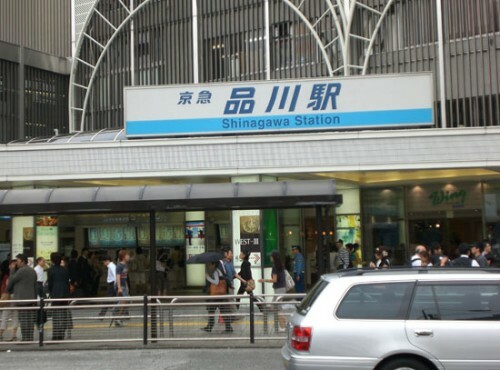 From Shinagawa Station, you would have access to central locations in Tokyo or Yokohama. Our bilingual toll free 24 hours virtual concierge service staff are always happy to assist your stay. 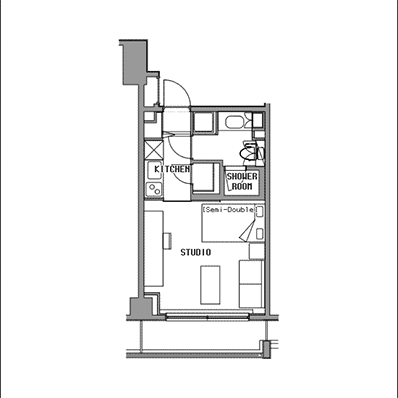 The building features a good mix of affordable studios and large one bedrooms. Internet (WiFi/LAN), cable TV w/English news & movies, 24HR free bilingual telephone Hotline, 24HR security system *Other optional services available upon requests. This studio apartment features user-friendly gas kitchen, comfortable work desk, and large sofa. 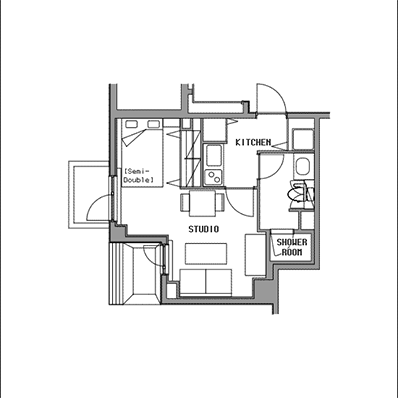 It is the only studio type that has a bathtub and also has a large balcony. There is only one room available of this type. Our bilingual toll free 24 hours virtual concierge service staff are always happy to assist your stay. This studio apartment features user-friendly gas kitchen, comfortable work desk, and large sofa. Shower room only. The most reasonable room type in this building.Our bilingual toll free 24 hours virtual concierge service staff are always happy to assist your stay. 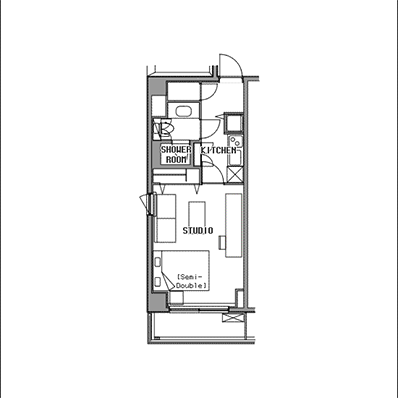 This studio apartment features a user-friendly gas kitchen, comfortable work desk, dining table for two, and large sofa. Shower room only. Combined washer/dryer. There is only one room available of this type.Our bilingual toll free 24 hours virtual concierge service staff are always happy to assist your stay. This studio apartment features a comfortable work desk, and large sofa. You can enjoy reading at sun-flooded balcony. Navy-white colored neat kitchen and bathroom make your stay comfortable. Our bilingual toll free 24 hours virtual concierge service staff are always happy to assist your stay. This room type features quiet environment as facing the other side of the street. Convenient combined washer/dryer. Our bilingual toll free 24 hours virtual concierge service staff are always happy to assist your stay. This largest studio type is on the top floor. There is an open-air corridor and has a great view of green surrounding area. Our bilingual toll free 24 hours virtual concierge service staff are always happy to assist your stay. 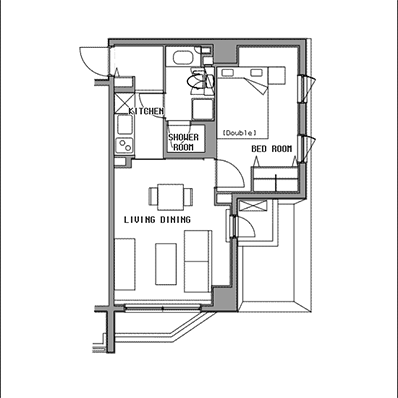 The most reasonable room of 1BR type.Spacious living room and bedroom are popular for families and couples. Shower room. Our bilingual toll free 24 hours virtual concierge service staff are always happy to assist your stay. Only one availabe on the top floor where you can reach open-air corridor and great view of green surrounding area.Our bilingual toll free 24 hours virtual concierge service staff are always happy to assist your stay. Large walk-in closet accepts plenty of your belongings. Our bilingual toll free 24 hours virtual concierge service staff are always happy to assist your stay. You can get great view to green Takanawa area with plenty of green. Large storage space has been popular with female residents. Our bilingual toll free 24 hours virtual concierge service staff are always happy to assist your stay. 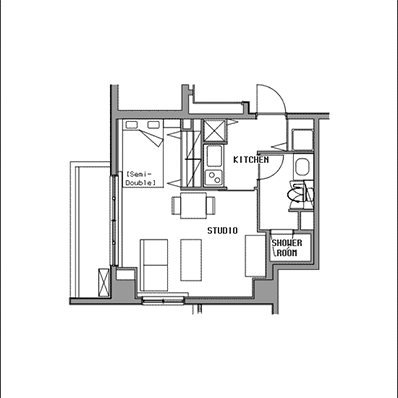 The 1BR apartment features a private bedroom and living area with sofa and dining table for two. Large window gets plenty of sunlight and makes the room bright and cozy. There is only one room available of this type.Our bilingual toll free 24 hours virtual concierge service staff are always happy to assist your stay. 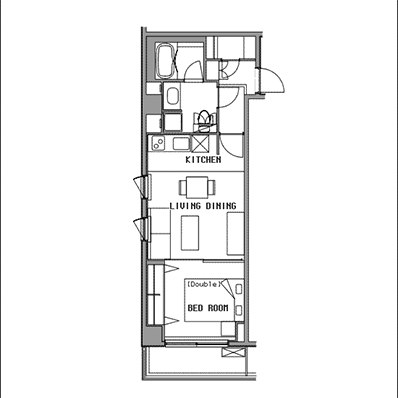 The 1BR apartment features a private bedroom and living area with sofa and dining table. Wooden interior and large window makes the room comfortable and bright. Recommendable for families and couples. Our bilingual toll free 24 hours virtual concierge service staff are always happy to assist your stay. 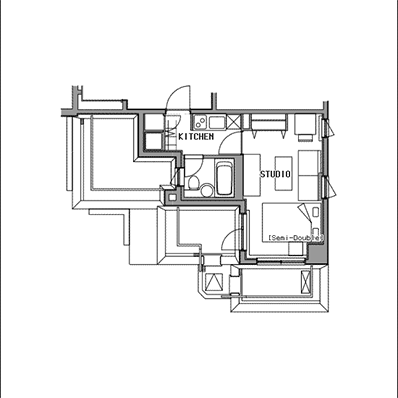 This very spacious apartment features a private bedroom and living area with sofa and dining table. 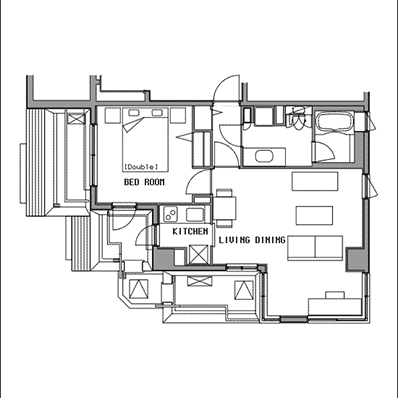 This room type is recommendable for family as it has spacious living room. Working desk helps business person. There is only one room available of this type. Our bilingual toll free 24 hours virtual concierge service staff are always happy to assist your stay. The largest room in BUREAU Takanawa. This very spacious apartment features a private bedroom and living area with sofa and dining table is recommendable for family. There is only one room available of this type.Our bilingual toll free 24 hours virtual concierge service staff are always happy to assist your stay. BUREAU Takanawa is located near Shinagawa Station, one of the main hubs of Tokyo's Yamanote Line. On the southern part of Tokyo, you would have access to Tokyo, Shibuya, Shinjuku, and other important Tokyo locations. Yokohama is also about twenty minutes to the south. 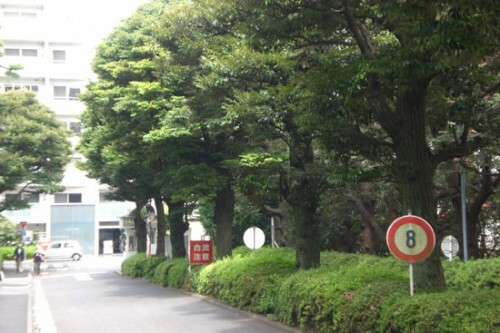 The area around BUREAU Takanawa full of greenery that provides a relaxing oasis in Tokyo. You can see the building in the background of this picture. 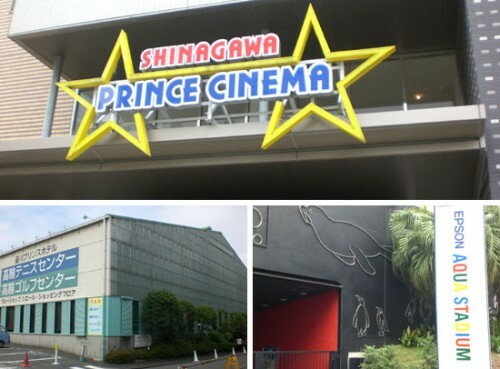 Takanawa area offers a multi-screen movie theater, tennis center, and aquarium (pictured here). All of these are within 2 minutes walking of BUREAU. 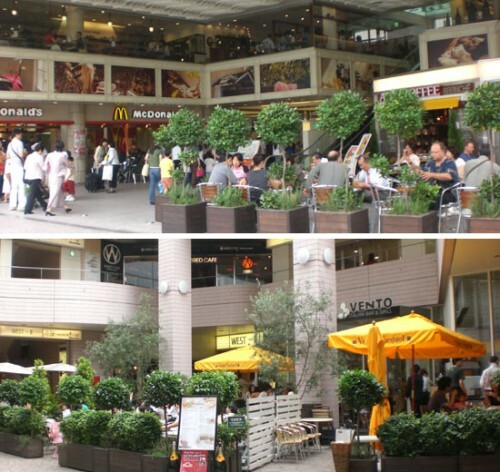 There is also an abundance of shops and restaurants directly in front of Shinagawa Station. All of these are on the walking path between BUREAU Takanawa and Shinagawa Station. 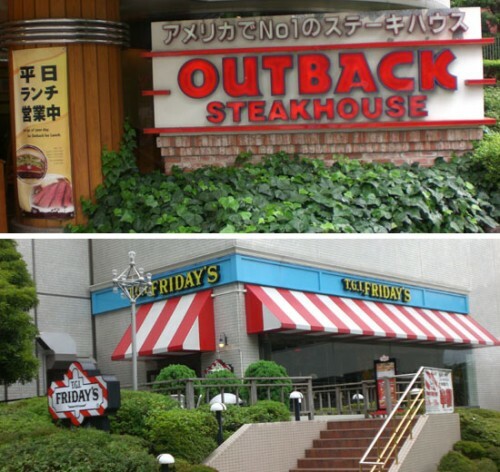 If you would like to take a break from Japanese food, there are plenty of options around. 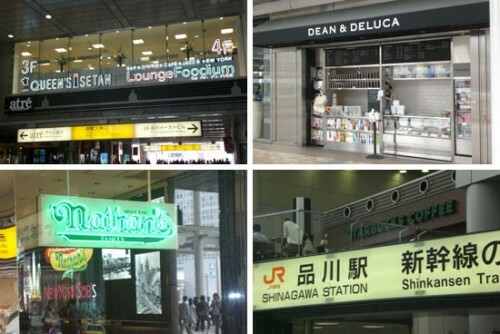 The massive Shinagawa station also offers a wide variety of restaurants, shops, as well as a great supermarket with an international food selection. QAre there other charges besides the rent (i.e.. utilities, service charges, etc.)? AUnlike hotels, all high-speed Internet usage is free and there is no tax or service charge. All of the rents listed on this site include cable TV, Internet and 24HR telephone hotline. Only outgoing telephone calls would be charged separately. 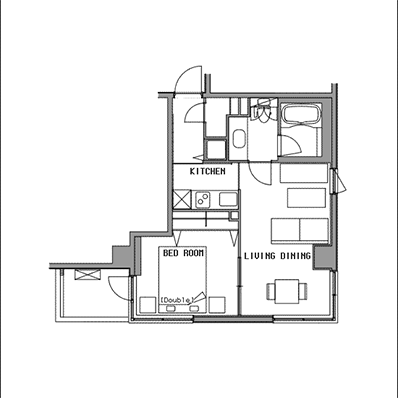 QDo you currently have available apartments? ABecause we have approximate 800 apartments and our guests stay for a couple of months at a time, we always have something available in one of our buildings. However, due to the high number of apartments and constant changes in availability, unable to show real-time availability on this page. To see presided availability and the best apartment upon your needs, please inquiry us. The location of this residential neighborhood is quite peaceful. You're surrounded by many shops and restaurants, and we would recommend to check out the great aquarium nearby.